Beverly Hills billionaires Lynda and Stewart Resnick, who are among the most influential people in California agribusiness and are the foremost advocates of Governor Jerry Brown's twin tunnels plan, have officially changed the name of their corporation to "The Wonderful Company." It had been called Roll Global. In a press release this week, the Resnicks, known as the "Koch Brothers of California Water" for their hijacking of environmental politics in the state to benefit corporate agribusiness, gushed about the company's "accomplishments" and goals. The Resnick's announcement came a week after Brown said he plans to change the name of the massive tunnels he wants to build underneath the fragile Sacramento-San Joaquin Delta to "pipes." 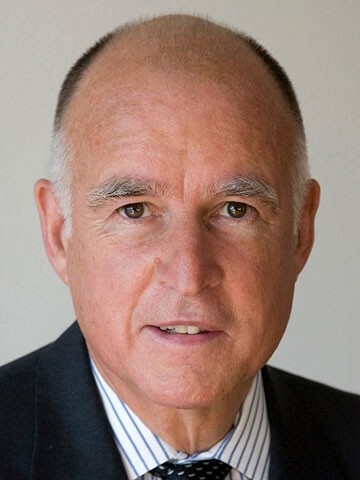 In addressing Sacramento business leaders at the 90th Annual "Sacramento Host Breakfast" on May 28, Governor Jerry Brown said that he is now going to call the delta tunnels, "pipes," because pipes are more popular. "Instead of a tunnel, were going to call it a pipe. That seems to be more popular," he said to laughter from the crowd, according to the Sacramento Bee. In response, Restore the Delta (RTD), a group opposing the governor's massive twin tunnels plan, noted that Brown's reference to "pipes" and his entire talk touting the alleged "benefits" of the tunnels echoes the message created by an astroturf group called Californians for Water Security — a special interest campaign initiated by Stewart Resnick’s Paramount Farms. The Resnicks then bragged about the "popularity" of their products. They claimed that Wonderful Pistachios is the number-one tree nut brand and one of the top-selling salty snacks in America; Wonderful Halos are the number-one mandarin orange in America; POM Wonderful is the number-one 100 percent pomegranate brand in America; FIJI Water is the number-one premium bottled water brand in America; Teleflora is the number-one floral delivery service through local florists; and JUSTIN Wine is the number-one Cabernet Sauvignon in California. The Resnicks also touted their supposedly "rich heritage of investing in the communities in which its employees live and work, specifically California’s Central Valley and Fiji." The Resnicks are the largest orchard fruit and nut growers in the world and are two of the biggest contributors to candidates from both the Democratic and Republican parties every election season. Stewart Resnick contributed $150,000 last fall to help pass Jerry Brown's Proposition 1, the water bond. The well-connected Beverly Hills billionaire sits on the board of the Conservation International, a controversial corporate "environmental" group. In addition to promoting the construction of the tunnels, the Resnicks have been instrumental in promoting campaigns to eviscerate Endangered Species Act (ESA) protections for Central Valley Chinook salmon and Delta smelt populations in recent years. The Resnicks have faced increasing criticism from environmentalists, tribal leaders, fishermen, and many media outlets for increasing their acreage in water-thirsty almond trees during a record drought — while Brown has mandated than urban water districts throughout the state slash their water use by 25 percent. At this year’s annual pistachio conference that Paramount Farms hosted, Stewart Resnick revealed his current efforts to expand pistachio, almond, and walnut acreage during a record drought. During the conference, Resnick also gloated about the increase in pistachio acreage over the past ten years: 118 percent — even more than the 47 percent increase for almonds and 30 percent increase for walnuts. Resnick's increase in almond acreage is part of a statewide pattern. Growers have expanded their acreage in water-thirsty almonds by 150,000 acres during the current drought. So it appears that the Resnicks are rebranding their increasingly controversial corporation to make it sound, pardon the pun, "wonderful," just as Jerry Brown and the Resnicks want to rebrand their "tunnels" as "pipes" to make the project "more popular." Regardless of the name change of the corporation, there is nothing "wonderful" about the Resnicks and their unsustainable corporate agribusiness practices, nor their attempts to to eviscerate minimal protections for Sacramento River Chinook salmon, Central Valley steelhead, delta and longfin smelt, green sturgeon, striped bass, sandhill cranes and a host of other fish and wildlife species. Here's my investigative piece on the Resnicks and their destructive impact upon California's environmental policies. For Yasha Levine's exposé of the Resnicks, "A Journey Through Oligarch Valley," go here. Here's the full press release from the Resnicks.